Article: Fashionomics _ Mathias Vestergaard Corp.
After a short break, Helle Rohde Andersen and I resumed our scribblings about fashion. 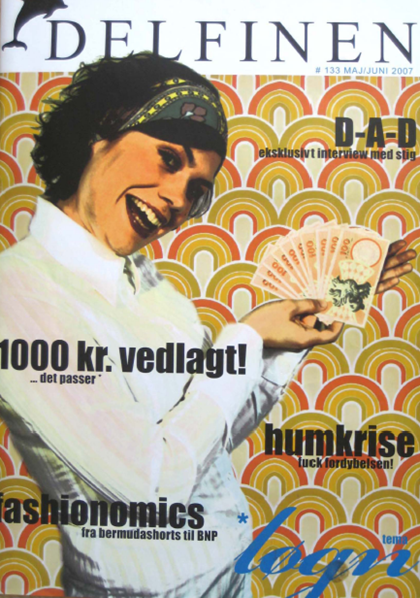 In our fifth fashion article, published in the May 2007 issue of Delfinen (#133), we provide an account for how fashion affects national economics. By linking the rising US-inflation in the 70s with the introduction of casual Friday and the burst of the dot-com bubble to men wearing Bermudas and flip-flops to work, the article satirically states that fashion is extremely important for our national economy. This entry was filed under Articles, Delfinen, Fashion.